Mosquitoes and ticks present a daily threat to your family, pets, visitors, customers and patrons. They transmit disease thru various contact methods. 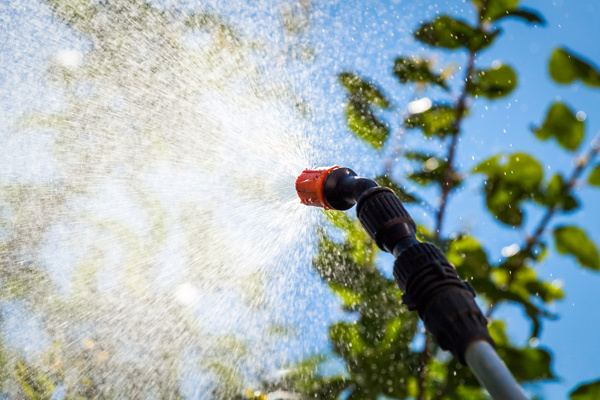 Mosquito and tick barrier spraying applications, mosquito fogging treatments and tick granular treatments throughout your outdoor property during the proper seasons will greatly reduce the threat of a bite or contact with either of these pests. Ingram Lawn & Garden Basic 5 Insect Protection Plan and our Extended Basic 5 Insect Protection Plan to control outdoor ticks and mosquito is applied for residential, commercial and special events. Mice, deer and other wild animals which are often carriers of ticks may drop off ticks off as they search for food on your property. Household pets such as dogs and cats pickup ticks and become carriers. Your pets or your family potentially bring them indoors via your shoes and clothing. Your pets or your blood is a tick's preferred food, and in the process of sucking it, they can transmit Lyme disease, Ehrlichiosis and Rocky Mountain Spotted Fever, and other tick-borne illnesses into your system. Refer to Mosquito's.Org web site http://www.mosquito.org for additional information. These infections can produce headache, fever, and other unpleasant symptoms. Without proper Lyme disease treatment, the disease can linger on for years with a wide range of adverse side effects from sore joints and memory problems to panic attacks and acid reflux, according to the International Lyme and Associated Diseases Society. View the CDC's Lyme disease site for additional resources: https://cdc.gov/lyme/index.html. In Pennsylvania, the most common ticks are; American dog ticks, lone star ticks and blacklegged ticks. Blacklegged ticks are more commonly called deer ticks and are known carriers of Lyme disease. Ingram Lawn & Garden offers tick control services that protect your outdoor living areas. 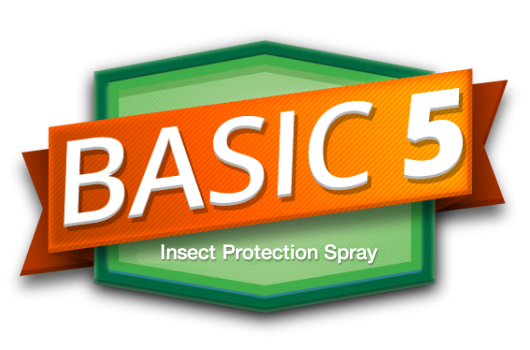 Our Basic 5 Insect Protection Plan is a blend of botanical oils extracts spray and granular treatment program. This combined solution is effective in controlling ticks killing them on contact and is guaranteed to protect for 4 – 5 weeks after each application. Our Extended Basic 5 Insect Protection Plan will be applied for additional applications in early spring and fall. Ingram Lawn & Garden protects your family, friends and pets from the nuisance and danger of mosquitoes by focusing on the areas of your property where mosquitoes and ticks are most likely to feed and harbor. Ingram Lawn & Garden provides even greater protection as mosquitoes attempt to feed off your greenery, as the residue from the treatment will knock them down too. The mosquito has quite an awful reputation. It has been called the biggest killer on the planet and the most deadly animal in the world. With just one bite it can cause great havoc by spreading devastating illnesses like West Nile Virus, Encephalitis, Malaria, Chikungunya and even Heartworm in pets. Visit the CDC's web site on the latest news about the Zika Virus: https://www.cdc.gov/zika/index.html Mosquitoes are resilient pests that will not only ruin your outdoor experience, but also carry dangerous vector-borne diseases. Our most popular mosquito control treatment is our Basic 5 Insect Protection Spray program. Applied by our professional applicators around your home and throughout your backyard, this mosquito control solution eliminates mosquitoes on contact and continues working for up to 21 days, depending on the impact of rain and weather elements. For optimum protection, season-long control (Extended Basic 5 Protection Plan) is highly recommended, every 21 days. We will notify you in advance of an upcoming service and leave you notice that we’ve been there. You don’t even need to be home during the application. If you prefer to avoid all synthetics, Ingram Lawn & Garden offers an all-natural solution as an ideal alternative for mosquito control. While our Basic 5 Insect Protection Plan works primarily as and tick eliminator, our all-natural treatment eliminates pests on contact and then continues as a repellent for up to 14 days. Our all-natural mosquito treatment is applied to the areas of your property that mosquitoes are known to harbor and feed. It is made up of essential oils and has a slight botanical fragrance that dissipates within a few hours of application. Since this all-natural mosquito control breaks down more quickly, it needs to be applied every 14 days for continuous protection (as opposed to the 21-day cycle of our Basic 5 Insect Protection Spray Plan). This all-natural repellent is not quite as effective as our traditional mosquito control solutions. Our Extended Basic 5 Insect Protection Plan extends the outdoor protection from ticks and mosquitoes earlier and longer into the season. Typically, our first application with our Basic 5 Insect Protection Plan begins in April and would end sometime in October. Depending on the warmth of the seasons, both in early spring and late fall our Extended Basic 5 Insect Protection Plan extends your outdoor living space earlier and longer into the year. Q. Where do you spray? A. We inspect your property for all the “hot spots” where ticks and mosquitoes would generally be located. These areas include; foliage, trees, standing water, tarps, wood piles, wood chips, some mulches, under decks, standing leaves, damp and shady areas, etc. Q. Do you provide special event service spraying? A. Yes. We do one-time special event spraying for both ticks and mosquitoes. We apply these treatments approximately 24-48 hours prior to the event. Call to arrange your mosquito and tick special event protection. A. A barrier spray treatment will generally last approximately 21 days. Natural spray treatments last approximately 14 days. We try and time each treatment during the spring, summer and fall seasons accordingly. Rain will sometimes reduce the effectiveness of a treatment so our visits are adjusted when this happens. Q. Are the chemicals used safe around family, friends, children, plants and pets? A. Generally, we use a variety of products for mosquito and tick control treatments. Our main barrier spray treatment spray is a synthetic form of pyrethrins called pyrethroids and a blend of botanical oil extracts (thyme, rosemary and wintergreen). Pyrethrins are the natural byproduct of the Chrysanthemum flower. Synthetic pyrethroids have a similar chemical structure as the pyrethrins, and are used in various consumer products such as pet shampoos, household insecticides and other consumer sprays. The products themselves are water-based, mixed in water and will not harm anyone or plants. For treatment areas closer to the house structure we use a natural (organic) product based spray. All products used are approved by the EPA. A. Every property, regardless of it’s size is different. Price is determined by the amount (density) of plant material and “hot spots” for tick and mosquito exposure we need to treat. Q. Does the treatment affect fish ponds or swimming pools? A. The pyrethroids are hazardous to fish. We avoid spraying near fish ponds with our barrier spray treatment and instead use a more natural product. Our products do not impact swimming pool water however, we do not use a pyrethroid product around the pool area. Q. Do you service commercial properties? A. Yes. Our spray treatments are a great outdoor solution for commercial locations like daycare centers, sports fields, outdoor event venues, schools, public pools, restaurants with outdoor seating, etc. Q. Is there an all-natural spray treatment? A. Yes. We provide a garlic or organic based based all-natural spray treatment for mosquitoes. The product repels mosquitoes and ticks rather than eliminate them and is effective for about 14 days. Once applied the product will leave a strong garlic odor for a couple hours after each treatment. The natural treatments are not as effective as our traditional treatment programs and require more frequent applications. Q. How long after each treatment until we can use our property? A. Once the barrier treatment has dried which normally takes about 30 minutes your are safe to go outdoors. Q. Will the Basic 5 Insect Protection Programs kill all of our ticks and mosquitoes? A. No service can provide 100% protection from every mosquito and tick. 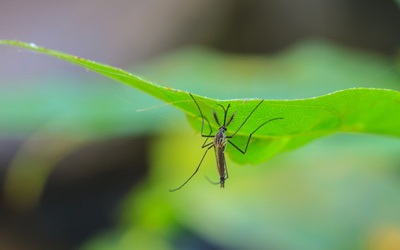 A mosquito and or tick could easily wander onto your property before feeding on treated areas and bite. However, you will find the presence of ticks and mosquitoes greatly reduced. Q. How often do you treat for ticks? A. We treat ticks in their nymph and larvae peak stages which is between April – October for most seasons. Warmer temperatures in the spring and fall often require earlier or later treatments. Three treatments are generally applied per season in the spring, mid-summer, and fall. Blacklegged Ticks (Deer Tick) are most active during the spring, summer and fall months and the American Dog Tick is most active during the summer months. Inquire about our Extended Basic 5 Insect Protection Plan for longer outdoor mosquito and tick protection. Our extended tick protection plan adds an early spring and later fall application to your outdoor property. Q. How often do you spray for Mosquitos? A. Our program includes one treatment every three weeks beginning in May and lasting through the beginning of October, for an average of 8 applications total. Our Extended Basic 5 Insect Protection Plan begins in late March and and concludes at the end of October. We customize our applications to each residential or commercial property. Click here to request an estimate for Outdoor Insect Control Services.